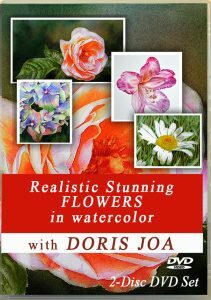 I am a passionated artist and one of my favorite mediums is watercolor. Painting in watercolor means joy, passion and challenges. It is hard to describe what I love the most about watercolor. I like especially the transparency of the colours, I love to see colours shining through following layers of colours but I also like the freshness of the paintings. I am using always the best Art Materials which is available. I never stuck to only one product. I want to figure out which possibilies are there to create my best watercolor paintings. I am always curious about new watercolor products and try out new colours, new surfaces, different painting techniques or new brushes. The material should allow me what I want to do. I want richness in my colours and I want to have them glowing, depth in my subjects and also transparency. I have a lot of fun reading art book and also discovering new techniques and new art material – no matter if it is a new brush or a new colour. I figured out that also a very cheap brush can be of the quality I need to have for my watercolor paintings. Chosing the perfect surface can be tricky. The surface must hold the paint and it must allow me control. There are papers available which spread the colours and the water and when the paint dries it is very light then and the only result are hard edges. You have to do a lot of layers to get the results you want. I am a lot inspired by nature and try to take always my camera with me to be able to get photos of all the subjects which capture my attention. I love to see the light shining through the petals and leaves, to see the transparent dewdrops, the light falling on hair or on fabric. Maybe it is the pose of a girl or a cat laying in front of a housedoor – the inspiration is always there and I want to capture these moments/ideas immediately. Painting always starts much earlier before we finally put some colour to our paper or canvas. I work carefully on the composition of each Watercolor Painting. Once I have decided about the composition and have the drawing done I then always start at first with light washes with my transparent watercolours. I need to get a feeling for my painting. When I paint a portrait or a figurative painting I then start usually with the eyes. The eyes and the impression of the face art the most important point and they need to be right done. When something in my painting doesn’t work I never hesitate to start over and over again until I am happy. 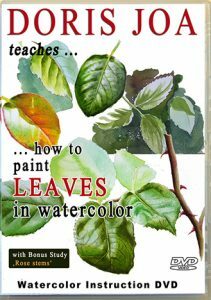 I also teach how to paint in watercolor with my Watercolor Lessons, which are available as videos and on DVD. 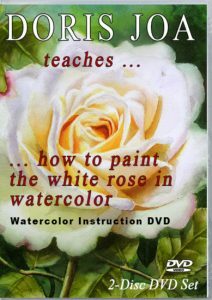 My Watercolor E-book also gives indepth instruction. There is also a section created for artists with Free Art Lessons, Demonstrations, Painting Tips & more. If you have any questions or if you want to commission a painting please send a message using my contact form below. 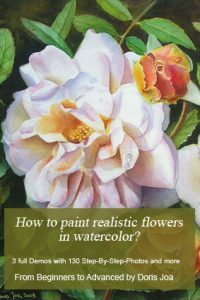 I am often asked about how I create my watercolor paintings. 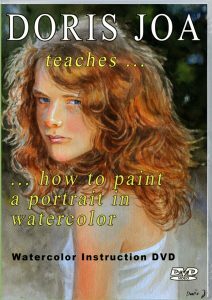 To help artists on their journey I have a lot of Free Tutorials here on this website, I am offering three Watercolor Videos and a Watercolor E-book. 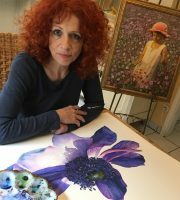 I teach in detail how I create my paintings in my unique style. There are work in progress and news around my art on my blog. Make sure to subscribe to my newsletter to get all the News around my Watercolor Paintings.